The Rhodes Family legacy lives on in our most recent development - Phase II and Phase III. 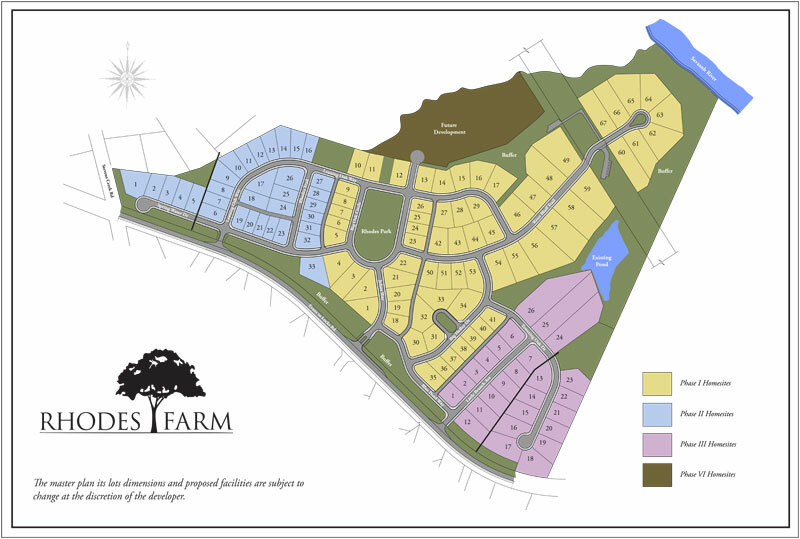 Phase II features 33 beautifully designed lots and Phase III features 26 of the same caliber lots. Both phases enjoy the convenience of beautiful Columbia County living, walking trails & neighborhood park, as well as easy access to the Savannah Rapids and Augusta Canal. Our residents enjoy taking full advantage of this proximity by utilizing the walking/jogging trails, biking areas, kayak rentals, and playground. As Columbia County continues to grow, Rhodes Farm remains cushioned in a quiet, private area that still has quick access to Riverwatch Parkway and I-20 for the medical and downtown district. Click the link below for more information on how you can reserve Your New Way of Life in Rhodes Farm!